Dendy, David & Kyle, Kathleen (1990). 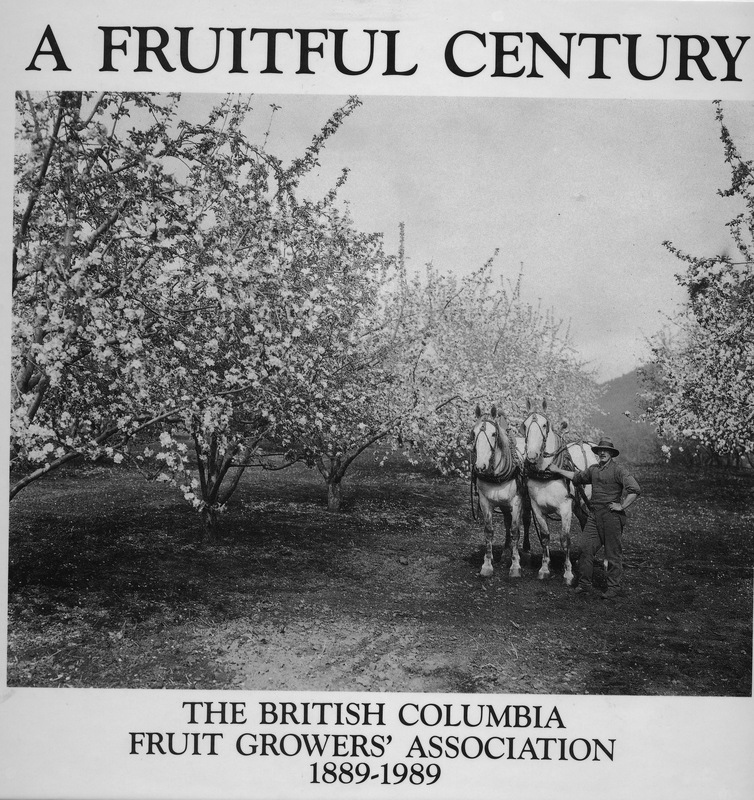 A fruitful century, The British Columbia Fruit Growers’ Association 1889 – 1989. Kelowna, BC: British Columbia Fruit Growers’ Association. This book was written to celebrate 100 years of the British Columbia Fruit Growers’ Association and their role in promoting orchards and fruit production in BC along with representing the interests of growers in lobbying the governments for supportive policies. It’s a story of ups and downs, bankruptcy and good times, failures and successes. It includes excellent archival photographs, and vignettes that are small short stories of orchardists, fruit varieties, events, box labels, etc. The information is extensive. This book should interest anyone seeking to understand the fruit industry in British Columbia and its challenges to market its products and secure a viable living from growing fruit. Some of its challenges parallel those of other agriculture products. The story is complex and at times difficult to follow because of the number of organizations and agencies that form to solve the problem. It starts with the BC Fruit Growers Association and then there are many to keep track of: The Kelowna Shippers Union, BC Fruit Exchange, The Fruit and Produce Exchange, The Cooperative Growers of British Columbia, the Associated Growers of British Columbia, The Independent Growers Association, The BC Coast Growers, BC Tree Fruits, BC Fruit Board, BC Fruit Packers. Fortunately there is a chart that depicts the relationship among some of these agencies. The book is available on line for anyone who wants the full read: http://www.bcfga.com/219/A+Fruitful+Century.